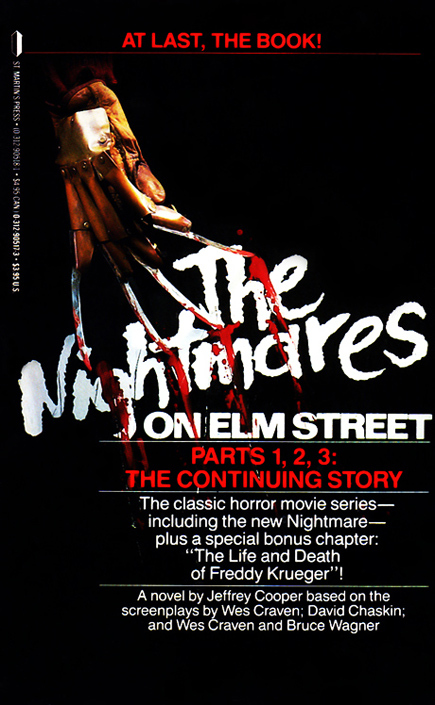 All of the original Nightmare on Elm Street films, including Freddy vs. Jason, appeared in print. Only Platinum Dunes’ 2010 re-imagining was not adapted for a book release. 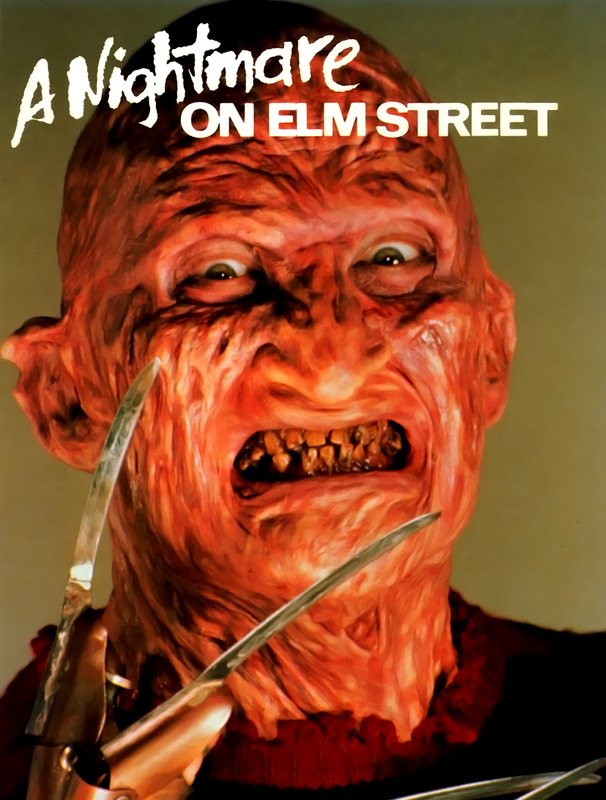 Featuring the voice of Robert Englund as Freddy Krueger! 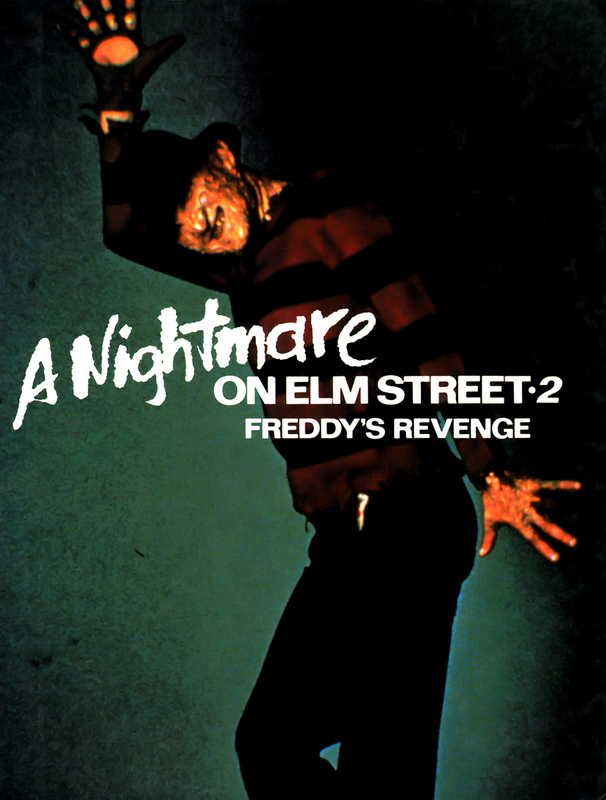 The phenomenon of Nightmare on Elm Street continues with the return of the gruesome ghoul Freddy Krueger! 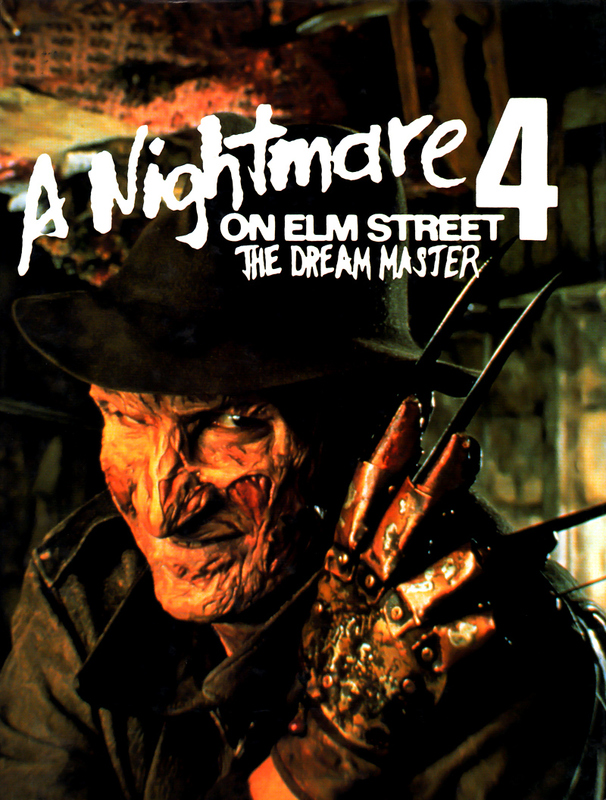 In this latest nightmare, Freddy works a deadly plot to avenge the devastating onslaught waged against him by the Dream Master, Alice Johnson, in A Nightmare on Elm Street 4. 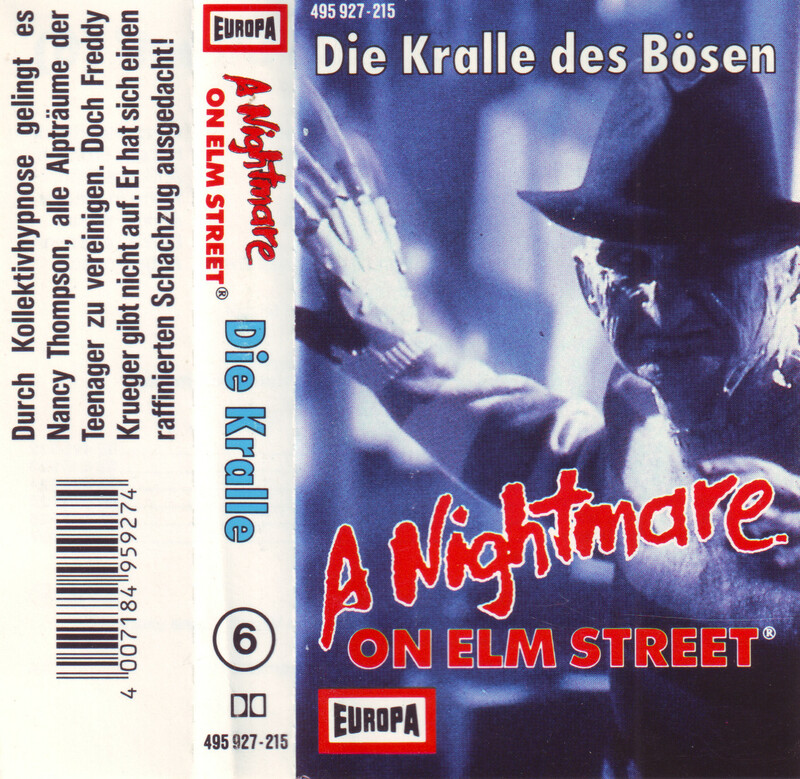 Unter den Teenagern der Elm Street geht ein unheimliches Monster um. Rätselhafte Todesfälle häufen sich. Immer beginnen sie mit bösen Alpträumen, – Träumen, in denen ein Ungeheuer mit gefährlichen Klauen auftaucht und die Realität sich auf bedrohliche Weise verändert! 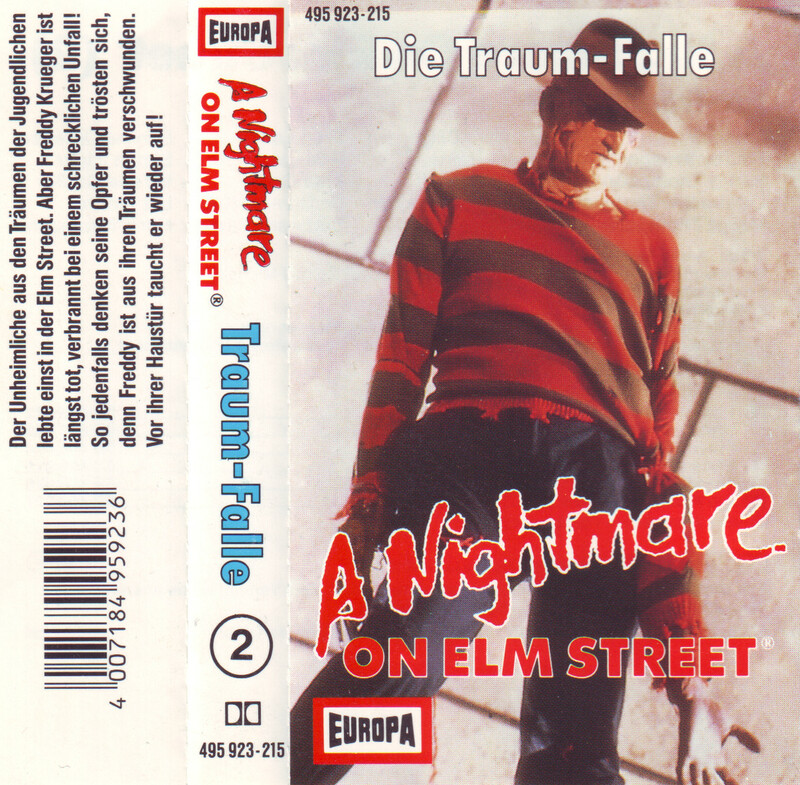 A Nightmare on Elm Street 5: Freddy Krüger lebt! Durch Kollektivhypnose gelingt es Nancy Thmpson, alle Alpträume der Teenager zu vereinen. Doch Freddy Krüger gibt nicht auf. Er hat sich einen raffinierten Schachzug ausgedacht! Part of Crestwood House’s “Tales of Terror” series! A teenage girl must solve the mystery of her friends’ deaths after they are killed by a disfigured man who stalks them in their dreams. A section at the end of the book explains the special effects used in the movie version of this story. 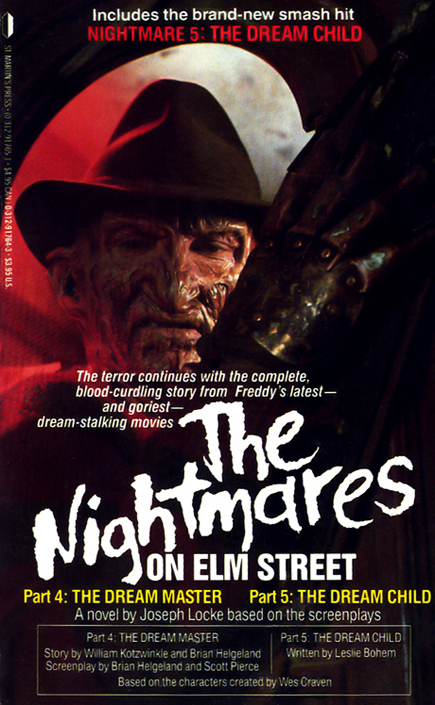 Publisher Abdo & Daughters released a hardcover series in 1992 adapting Nightmares 1–6. These books were aimed at young adults with curse words removed or replaced. Acceptable written adaptations of each film’s shooting scripts. Bob Italia wrote all six books which also featured color photos from the films. Freddy was dead and gone. 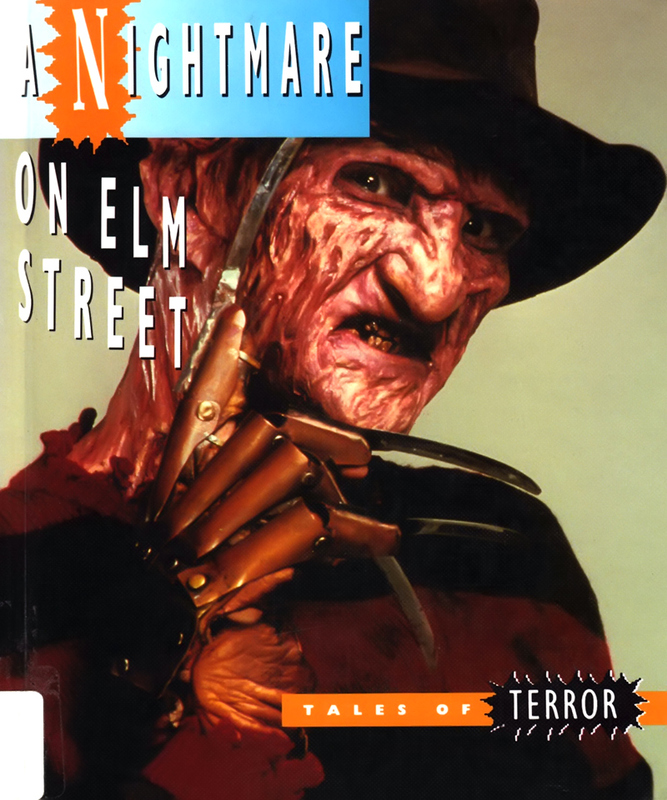 The good people of Elm Street had seen to it that the Springwood Slasher would never bother anyone ever again. 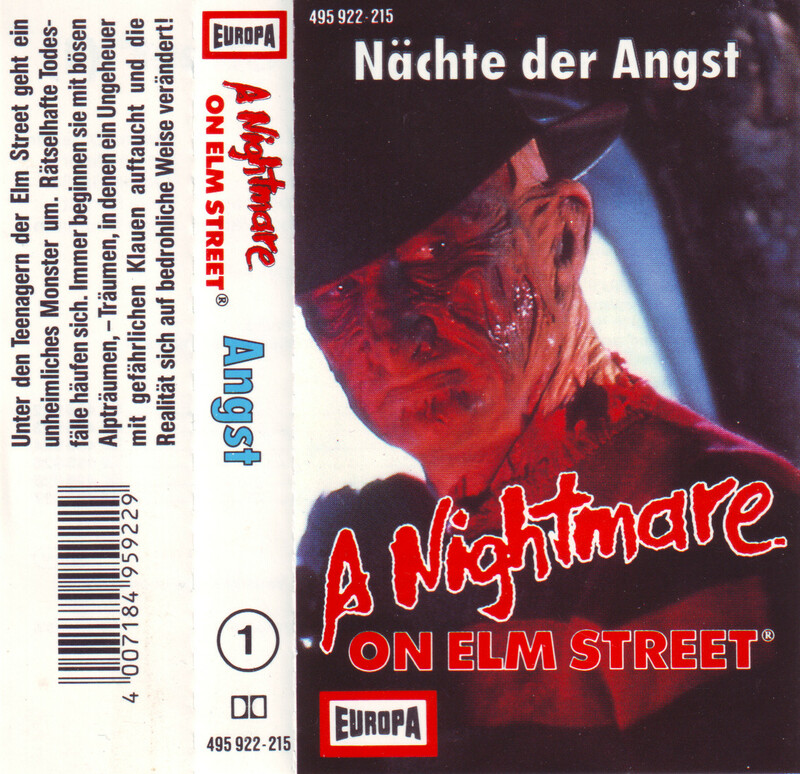 Ten years had come and gone since then and only now were the people of Elm Street beginning to sleep peacefully at night, safe and warm in their cozy suburban bedrooms. 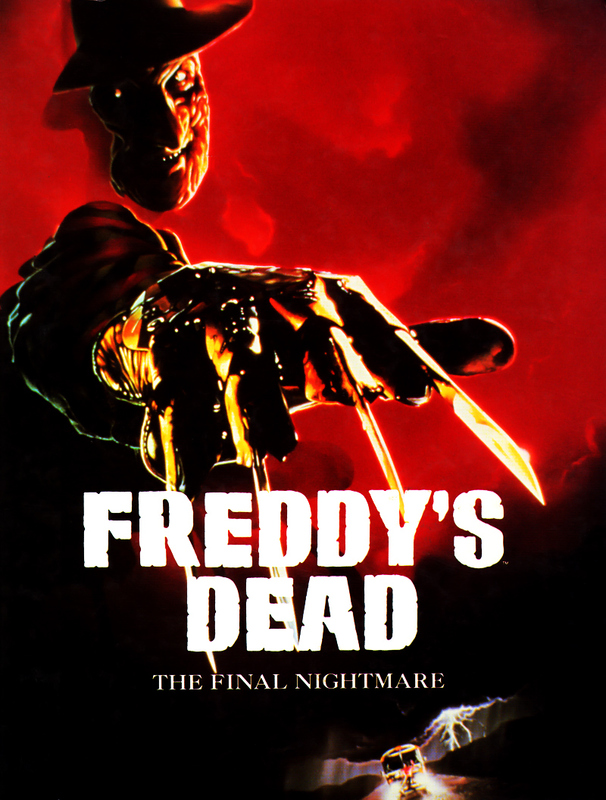 Freddy was dead and gone… but the nightmare was just about to begin. Note: Very well written accounts of Nightmares 1 and 2. Each story follows the films with acceptable pace and very little extra dialogue/scenes. The story for Nightmare 3 uses elements from the respective film but is an entirely different story than what was presented on screen. 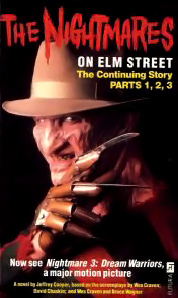 The “special chapter” explaining Freddy’s past is no longer considered canon. 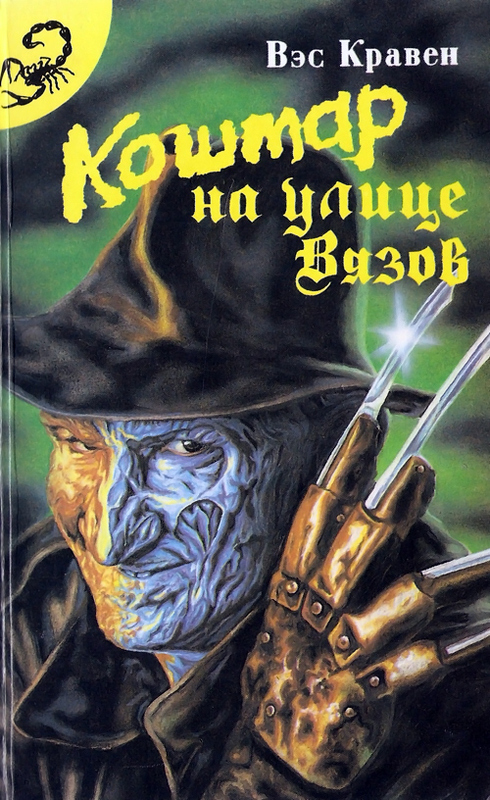 Freddy’s back, looking for some “soul food”. And he won’t stop even when Kristen Parker—the last child of Freddy’s killers—takes a deep sleep that puts her six feet deep. 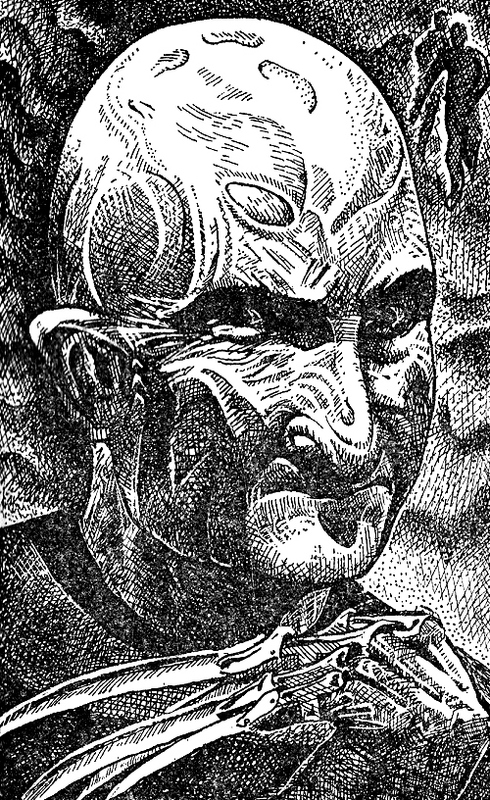 Now the fiendish phantom is using another kids’ dreams to produce his victims—and to slaughter them in new and ingeniously gory ways. His blades are razor-sharp, and his bloodthrist can’t be stopped. 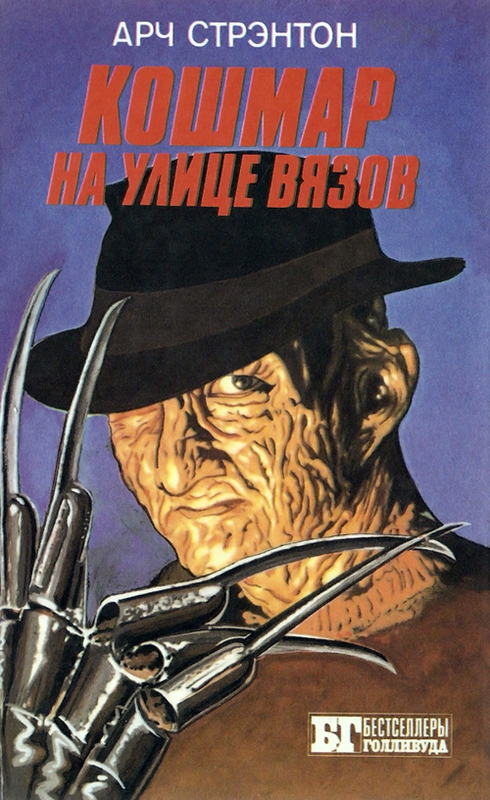 Freddy Krueger is eternal. 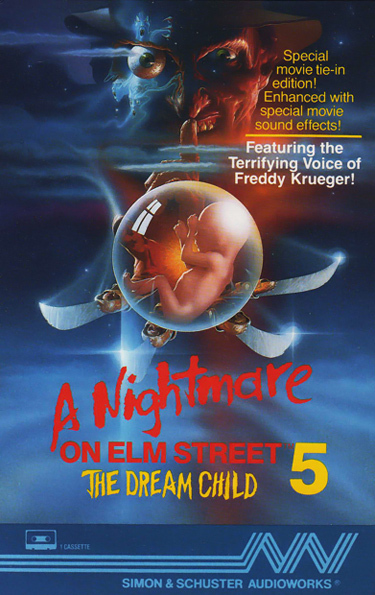 Note: Well written accounts of Nightmares 4 & 5. Both stories follow the films with acceptable pace and very little extra dialogue/scenes. 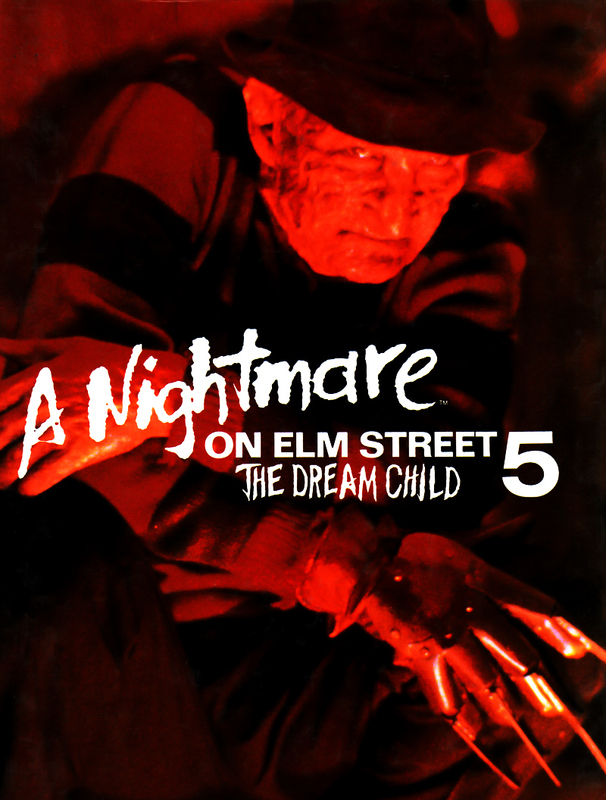 The ending to Nightmare 5 is slightly different than the film version. Ten years ago, legendary horror director Wes Craven created Freddy Krueger, one of the screen’s most unforgettable monsters. 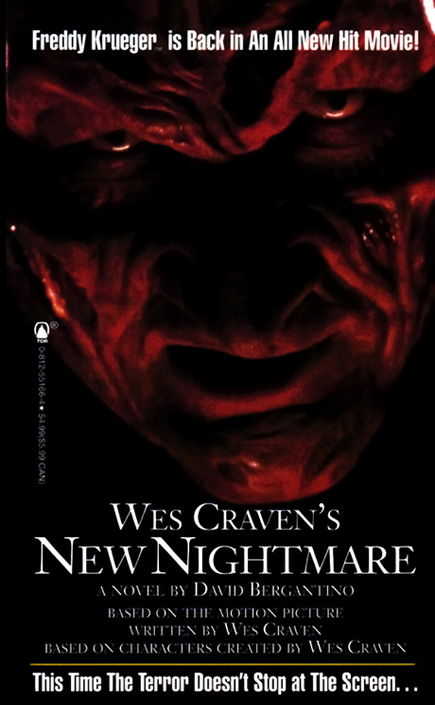 Now actress Heather Lagenkamp is about to return to her role of “Nancy,” Freddy’s first and greatest foe, in the newest and most ambitious “Nightmare” movie yet. But the line between fiction and reality becomes terrifyingly blurred, as Heather begins to have horrible dreams while mysterious accidents threaten those around her. 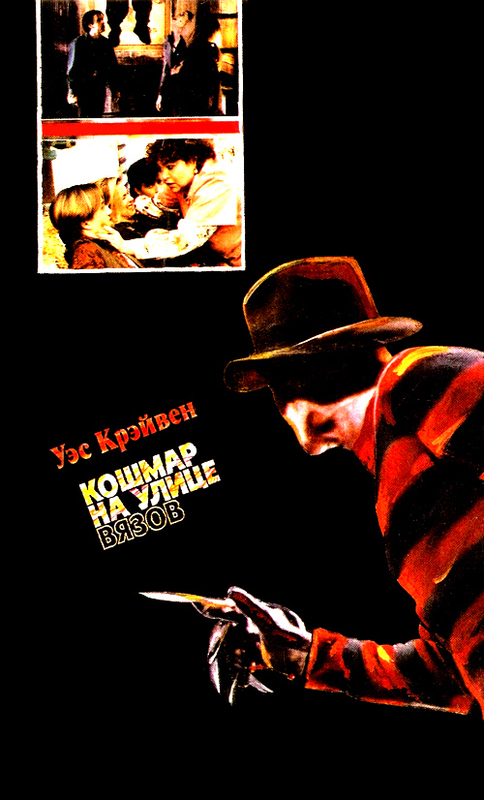 As the ultimate “Freddy” movie rushes into production, the cast and crew find themselves stalked as though Freddy himself had escaped from the movies into real life. 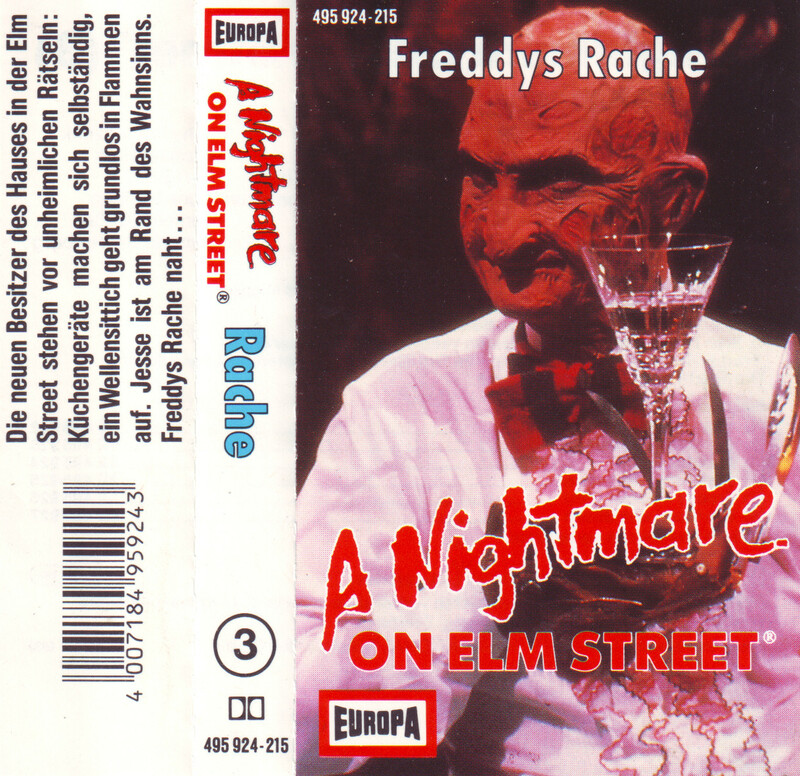 But Freddy Krueger is just a fictional character… or is he? Note: Very well written account of the film. 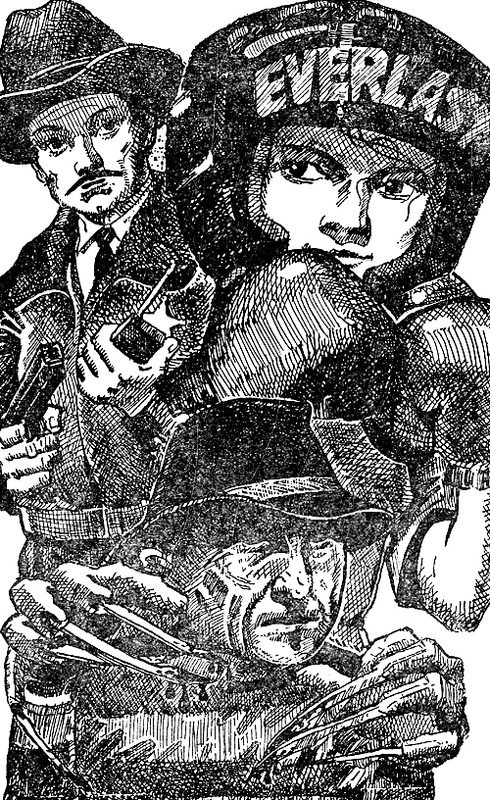 Bergantino added brief segues between chapters with additional story elements. 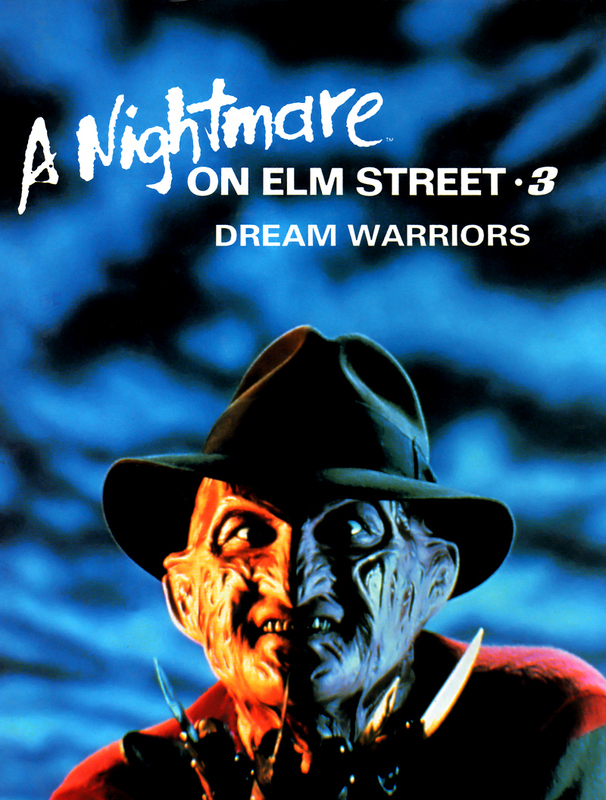 Freddy Krueger once invaded the dreams of a generation to exact his deadly form of revenge and murder. 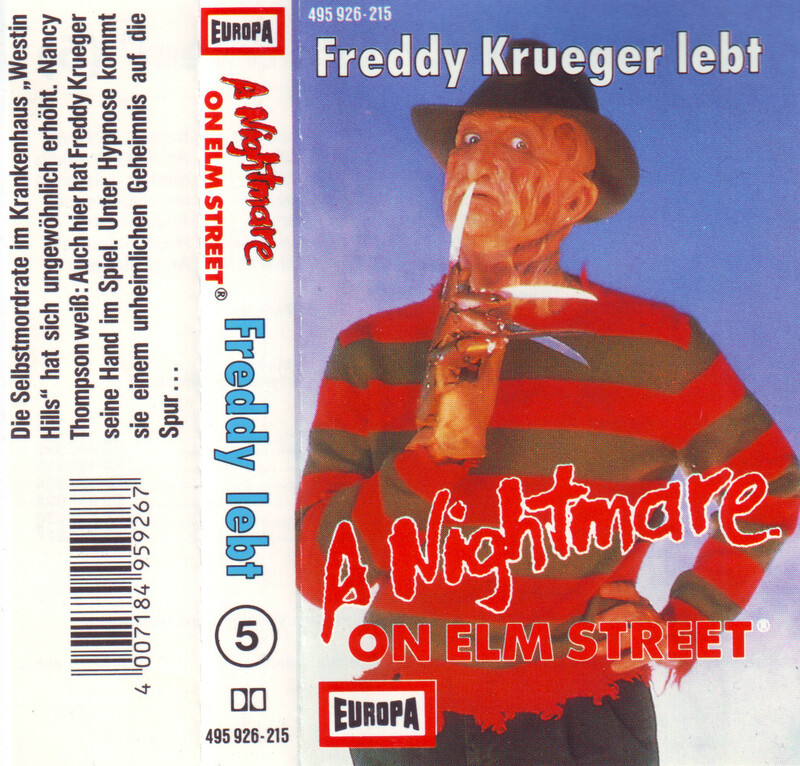 Now Freddy has entered into the dreams of another master of evil, the unstoppable Jason Voorhees, plugging cinema’s two greatest titans of terror into a battle to end all battles. 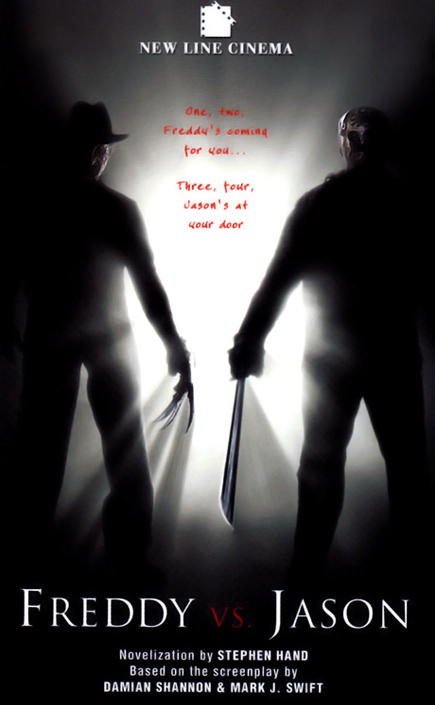 Their battlegrounds are the leafy suburbs of Elm Street and the idyllic Camp Crystal Lake, and no one will be spared their fury. With their mortal souls facing an eternity of torture, the last few innocent survivors must make a final stand and destroy both of these evils forever!